Good News! 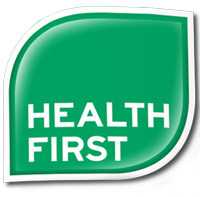 Vitamin First is happy to announce now being part of the Health First group of leading independent health and wellness retailers. We use group buying, shared marketing and collective wisdom to put value, knowledge and health first for you and your family. November Beauty Event at the Signal and Marda Loop locations is coming up fast! To book your makeover with a professional makeup artist please call 403.460.6480 $30 will hold your spot of 45 minutes with a professional makeup artist and your $30 will then be applied towards any cosmetic or skin care product you purchase. There are prizes galore to be won and gifts with purchase! There will be treats to nibble on! Everyone is welcome to come and join the fun November 18th. FREE DELIVERY! If the hectic nature of city life has you too busy to pop into the store, order $150 or more of product and we will be happy to deliver it to you free. Please call us for details. Last but not least, the approaching winter bringing snow and dark skies has us looking to keep ourselves and our families well through the season! Now would be the time to optimize your vitamin D and make sure there is always vitamin C in your supplement cupboard. Having some oregano oil, elderberry and adaptogenic mushrooms on hand can all help to nip any bug or virus in the bud and help you breeze through winter. We have many more suggestions to offer so please drop in and chat with us.